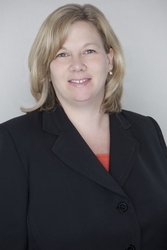 Elizabeth K. Holdren is counsel in the Princeton, N.J. office of Hill Wallack LLP and is a member of the Creditors’ Rights/Bankruptcy practice group. Ms. Holdren concentrates her practice in all matters of creditors’ rights and bankruptcy, including workouts, replevin actions, commercial litigation, collections, preference actions, non-dischargeability claims, cash collateral hearings, sales of assets, and other related proceedings. Ms. Holdren is admitted to practice law in New Jersey (1996), Pennsylvania (1996), and the U.S. District Court for the District of New Jersey (1996). She earned her J.D. from Rutgers University School of Law. Ms. Holdren is a graduate of Rutgers University, Douglass College. Represented secured creditor whose collateral was sold through the bankruptcy proceedings for a comparatively substantial sum. Represented secured creditor and successfully obtained payment in full of client’s claim, including virtually all of the attorneys’ fees and costs incurred in the bankruptcy case. In doing so, established new case law providing an exception to the "merger doctrine" which will be utilized to assist similarly situated creditors in future cases. Assisted in the representation of a secured creditor which led to its being paid substantially all of its multi-million dollar claim, while obtaining a ruling from the Court which further refined the criteria for determining whether a debtor is a "single asset real estate" entity, which ruling will be useful to creditors in future cases. Author, Debtor vs. Lender: Who Pays the Lender’s Attorney’s Fees?